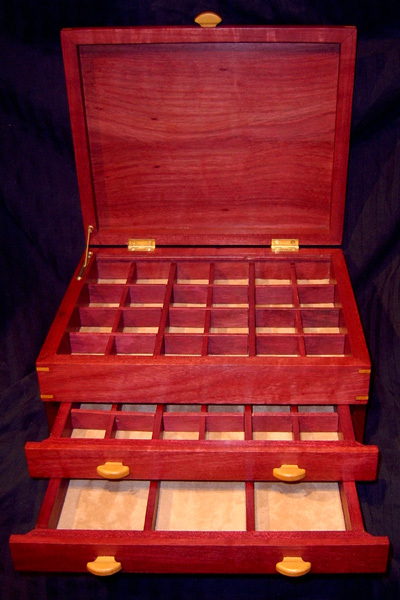 This box is made from Purpleheart with Yellowheart inlay, pulls, feet, and keys. The dimensions are 12"x10"x5". It features two trays 3 1/2"x8 1/2"x1/2" deep that ride on rails. 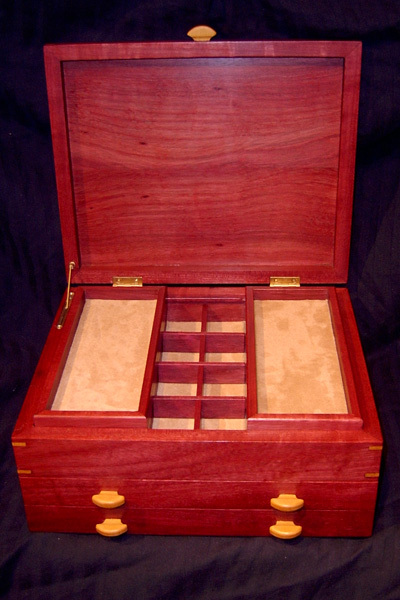 The top section and drawers are divided into three sections with permanent dividers. 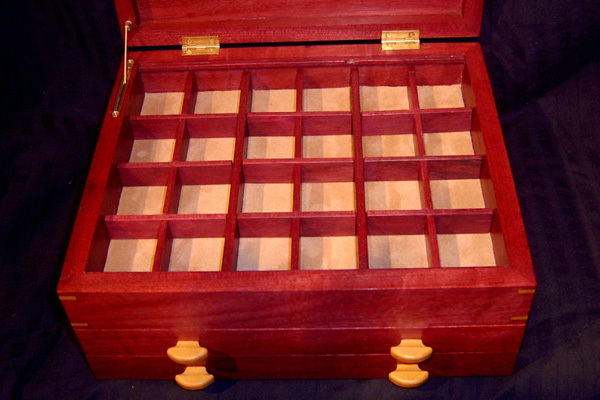 The top and one drawer are seperated into smaller sections with removable dividers. The dividers are half lapped together and come apart to enlarge the sections. 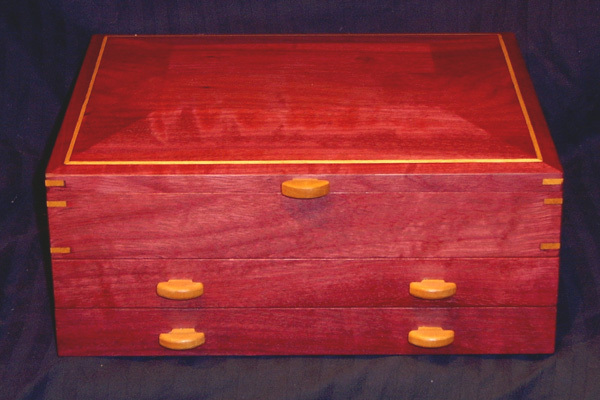 The whole box has been finished with a drying oil (wet sanded on the exterior to a very smooth finish) and buffed out with Canuba wax. 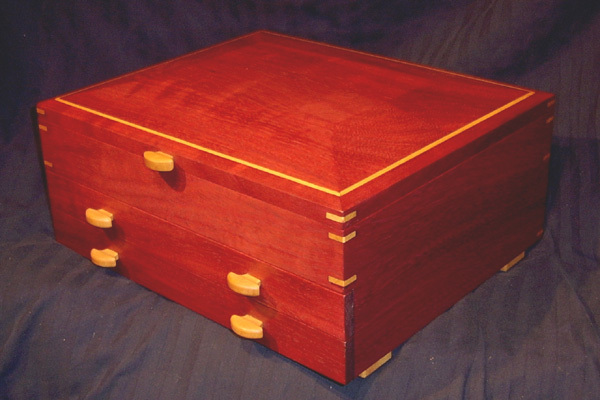 The hinges and lid stay are made by Brusso. The liner is a synthetic suede and will not tarnish silver.